Actor, musician and film maker Donald Glover has been trending across social media and conversations this week with his ambitious and thought-provoking new work "This is America." 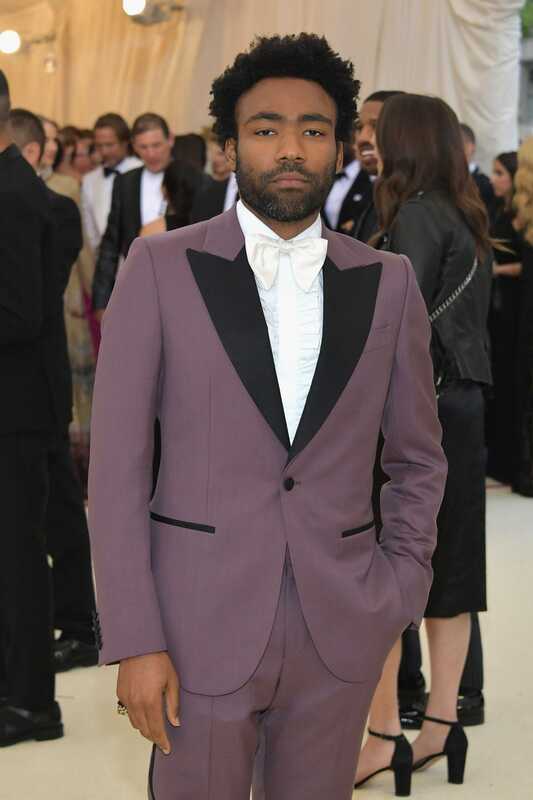 Before his appearance at the Met Gala, Celeb Groomer Erica Sauer spent the day prepping Glover's red-carpet grooming look. She gave us a behind-the-scenes look. Erica advises Donald to gets a clean shave the day before a big event and suggests exfoliating and moisturizing the night before to keep skin hydrated. Her favorite is the Baxter of California Super Shape Recharge Cream, the gel texture easily absorbs and leaves skin firm with a radiant complexion while evening out any fine lines. Additionally, lots of water and raw juices help to hydrate from the inside out! Erica used the Baxter of California Shave Tonic treatment to prep the beard and revitalize the skin — a soothing combination of rosemary, eucalyptus, camphor and spearmint essential oils. She then used her t-liner to line up his beard and neck and took a cotton pad to apply the tonic to cool down the skin from any potential razor burn. Next, she used the Herbal Mint Toner all over the face to remove any residual dirt, oil and impurities cleansers can miss. To keep the skin hydrated she massaged the Super Shape Recharge Cream into the skin with moderate pressure to get circulation going for a healthy complexion and used the Under Eye Complex while giving a light lymphatic drainage massage. The caffeine and seaweed extracts will reduce any day of puffiness or dark circles while hydrating. Lastly, use a light lip balm on the lips — the Hydro Salve Balm is also great to take with you on the go for touch ups along with blotting papers. Erica applied the Cream Pomade on his hair with her finger tips and used a blow dryer in pieces to give it an uneven, wild look. This pomade allows for a light frizz-free hold with a low shine finish, and is great for messy or tousled looks. 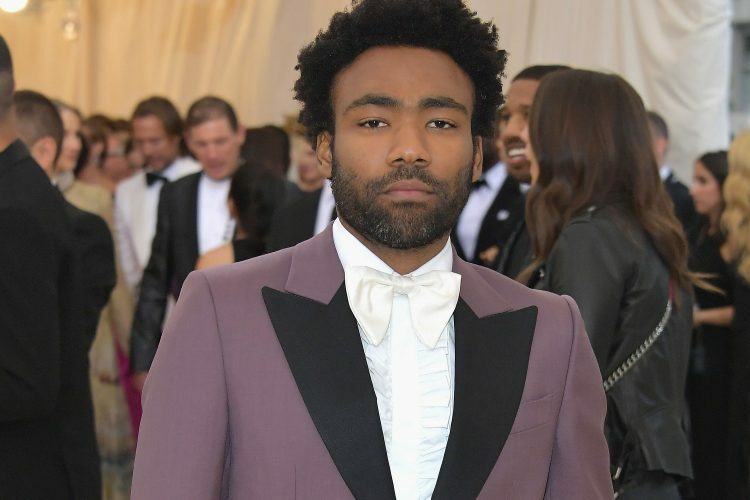 Glover completed the look with a purple Gucci tuxedo with prominent gold embroidery on the back, white bow tie and matching white loafers.